The K2 Company is a nice step up from the Formula. It’s lighter and a little more responsive. 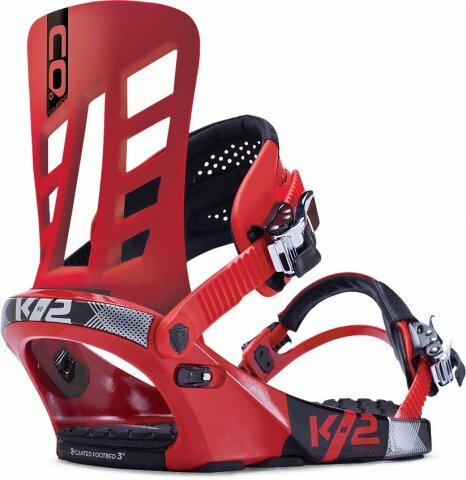 Most people (especially us) just don’t care about quick strap/release bindings so it’s good to see K2 respond to this and offer a higher end traditional strap binding to their line. The 2014 Company has a bigger lighter high back. Flex: Feels pretty middle ground. 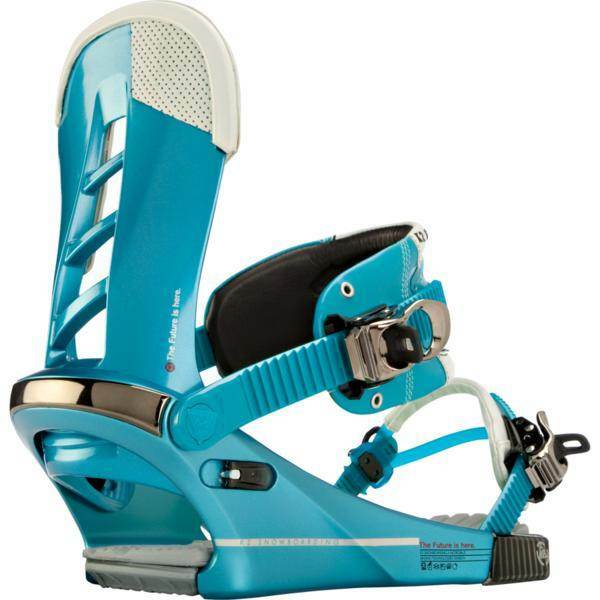 Adjustability: The K2 Company binding is very easy to adjust. I love how easy it is to adjust the straps and how well they conform to your boots. The toe strap is one of the better straps I have come across. Comfort: The ankle strap is pretty comfortable and normally I’m not into a strap that’s so big in the middle and small on the outside but it actually conforms well to your boot. Heel-Toe Response: There is solid response here that offers up what felt like a little more edge to edge transitioning than the IPO. Tip-Tail Response: This offers up no real freedom underfoot for the board to flex but it still has some ability to bend the board for a butter. 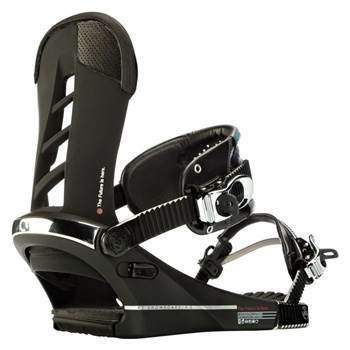 Boot Support: The ankle strap does a pretty good job of giving you comfort and keeping the boot integrated with the board. Ratchet System: Pretty good and doesn’t have any issues. It’s pretty smooth. It’s not the best I’ve tried but in no way is it a slouch. Shock Absorption: There is a good barrier between you feet and the snow. It’s also pretty damp. The cant also reduces fatigue on the knees, ankles and hips. It doesn’t have any tech that’s super new and exciting but it sure is a comfortable well built binding that we all liked. 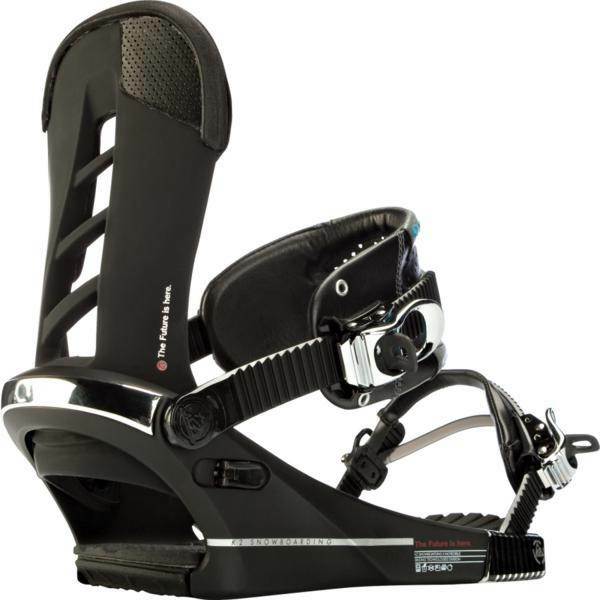 It also shares the same can’t in the foot bed that helps the rider keep their body in better allignment as well as make for reduced fatigue and better control over your board. 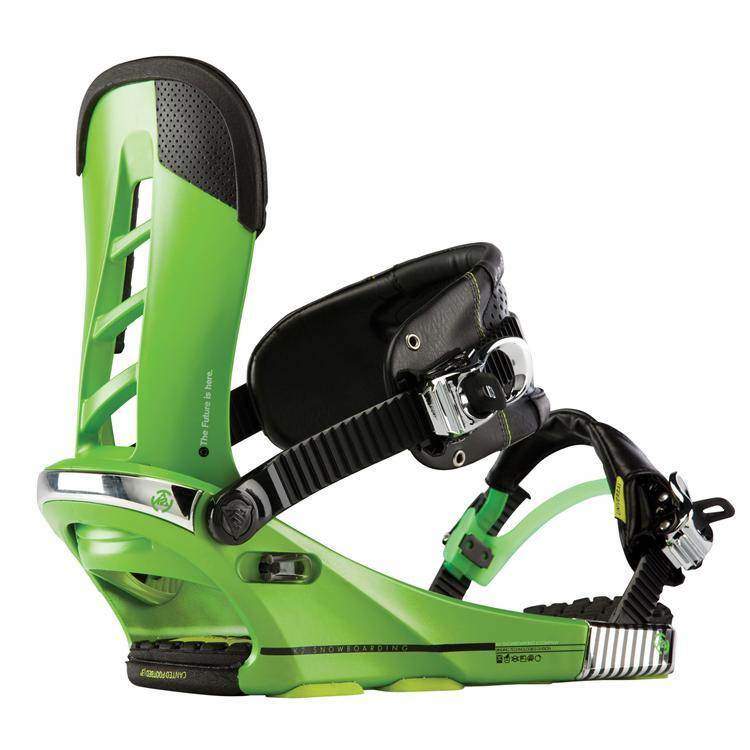 We like the ratchet system and long term reliability that this binding offers. The toe and ankle straps hold very well and give good support. K2’s ankle strap is different than many other bindings out there as well. It’s a little bigger in the middle where most taper. It does flex rather well so for most it won’t pinch. The rachets work very well. We also like the addition of some tooless screws in the binding similar to what Flux does. 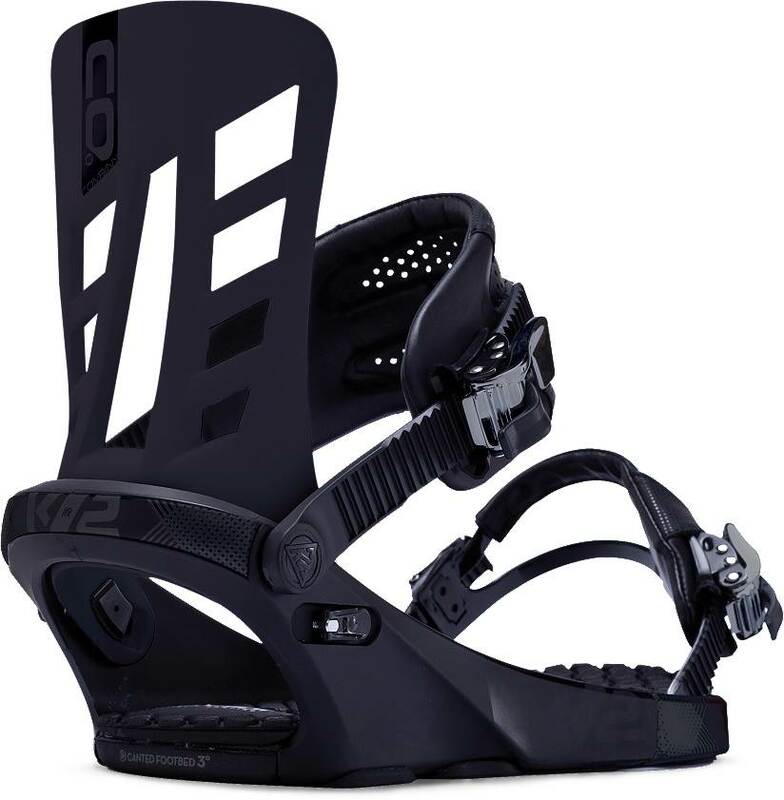 We’d still like to see a little more shock absorption as well as have K2 address better flex under foot to reduce the dead spot created by bindings on the board. Many companies do this these days so it’s not an unreasonable request. However for the price the Company is a good choice for the rider that is looking for something better than the K2 Formula who doesn’t want their auto or cinch tech. We try to get as many images of the K2 Company, but forgive us if they're not all there.